The jolteon's skittishness surprised her, and though the thunderbolt didn't hit her, she changed back into her normal form. How could he have been that stupid? She saw him transform... The blue thing chastised her for scaring him -even though he should have been smart enough to know it was just an Illusion- and promptly went back to babying the yellow thing. Delia glared as the muscle-beast moved between them. You will be my first target, blue thing... she snarled in her mind. The beast growled that they all needed training, to which Delia's ears perked. Maybe she would finally be able to evolve and have enough power to take whatever meal she wanted... Though, she and the typhlosion didn't get along to well. She would have to restrain herself for the sake of power. As she debated on her plight, the gallade spoke. "Since we all have goals to attend to far from this cave, we should probably leave it. I cannot guarantee the safety of it upon our return, should we decide to come back, but it is not wise to stay in one place for too long, no matter the degree of safety. If we are to go out, it is best we do it together, as a unit." He looked to each of them, pausing on the beast and herself. "Will you team up with me?" Delia grinned and couldn't help a little laugh; to the others, it was almost delighted, but with a dark twinge. "Of course! I've never been on an adventure with others! How exciting...!" Her enthusiasm was strange, but, then again, she was strange. Koin silently thanked Rin with a quick lick on her ear, and tried not to show his hurt pride. I just lost my cool... The Jolteon wasn't exactly sure when his miniature fear turned into a full-blown phobia, but he needed to overcome it as soon as possible. If he didn't... Koin gulped. He wouldn't survive to see the light of day ever again. He silently stood next to the Glaceon; although the cool air emitting from her chilled, it at least reminded him that someone was still by his side. The Lightning Pokemon tried not to rebuke the Typhlosion and order a fight to show just how "weak" he was, but he held himself back. Fighting won't help at this point, Koin reasoned, so he shut his mouth and continued to listen with silence. The Jolteon sighed. His pathetic excuse of a Thunderbolt looked more like a Thundershock, and now everyone was starting to doubt his power. Koin shook his head slightly, and fluffed out his white chest fur. The next chance that rose, he would show them his potential. Probably even take up on Blaze's invitation to train! "Will you team up with me?" The Gallades voice rang into his thoughts. Koin stared at the Blade Pokemon in slow realization. While the Zorua quickly agreed, he had to think for a second. It would help if I teamed up with him... The Jolteon only saw intent on forging everyone together in the Gallade's eyes, and Koin nodded. He could depend on this Gallade. "I'll join. Better than sticking around this warm mountain," Koin spoke clearly to the Gallade, standing up to his paws. "But first, I don't think I caught your name. Never did mention it before." He felt his ears press against his head. Was it rude to openly ask for names? The Jolteon pawed the ground anxiously, tearing his eyes away from the dual-bladed Pokemon standing before him. Koin may have promised that he would show them he wasn't a weakling, but he still couldn't look straight into the penetrating gaze of the Gallade without feeling exposed. Rin blushed slightly as the Jolteon licked her ear. "Anytime, my cheerfulness is around to help people recover from downtimes." the Typhlosion appeared to have an idea to emerge outside and train, the Gallade agreed quite shortly after. "Yes, I will follow you. It would be my special skill to freeze the infected that try to harm you all in anyway, seeing as the Murkrows being aerial." she marched to the entrance of the cave, looking outside for traces of those picking at corpses. She wondered where Lucia is, possibly just a pile of bones and Murkrow poop by now. The Glaceon clenched her jaws, she would take revenge on them, one by one by one. The volcano pokemon seemed to take longer then the others as she pondered over wether to travel with these complete strangers. Back when Akira had still been assembling her team the only reason Blaze had dealt with it was because Akira had chosen them, and Blaze had trusted her judgment. But these pokemon hadn't been chosen by anything but dumb luck and a falling stone. Blaze could also get to New Bark Town faster if she went alone. But like the gallade had said, working as a unit had it's advantages. There was a saftey in numbers, and being on your own made you easier prey to the undead, and it would help if she ever ran into water types to have the others with her. And though she rather die than admit it she liked having company. "I'll come along." Blaze said, at least until she found her old team. "I think, before we begin, a good but brief rest is in order." he began quietly, trying not to let his weariness show on his face, "It is not prudent to travel after a sleepless night, even if the day brings more safety. I can take the first watch if you would like to sleep for an hour or two." She looked to the other pokemon nearby, watching their movements. She knew that they didn't trust her, and because of the fear they retained for her, she didn't trust them. They might do something to her in her innocent dreams... Then again, the gallade was very adamant about the whole "unit" thing. Maybe she was safe? As the thought of sleep entered her mind, her body found itself lethargic and, well, sleepy. Damn the gallade and his power of suggestion... She yawned and put her head on her paws after curling up near the gallade. "Sounds like a plan..." she said as her mind lulled into blissful rest. Koin ruffled his fur, puffing it against the incoming breeze. The sun was slowly rising, and he was pretty tired from last night's events. Being attacked, wanting to be eaten, receiving a scare from the nasty Zorua- all these just added up to one heck of a night. The Jolteon settled down, crossing his forepaws and resting his yellow head on them. With his eyes closed, Koin sighed. The Zorua had already gone to sleep, and hopefully she would stay asleep for a while longer. "If you get tired, you can wake me up for the next shift," he offered to the Gallade. An hour was enough for the Jolteon; the adrenaline of finally traveling in a safe pact warmed Koin up in ways he couldn't describe, invigorating him with energy. I hope I can sleep though! The Jolteon opened his eyes slightly to look at his new teammates. Working as one would take a while, but seeing as how fighting the infected was inevitable, they would all gather together soon. The Gallade gave off an air that made him seem experienced- as if he'd been traveling all alone his entire life (which he had, Koin reflected). Blaze... Koin had a grudging respect for the strong Typhlosion. The Jolteon knew that she was strong, but it frustrated him that Blaze was way out of his league. The fox-like Pokemon sleeping across from him, the Zorua, was almost like a puzzle with a gaping wide hole in the middle. It was easy to guess without the missing piece that she was mean (and scary), but there was something missing for sure. Maybe if he "found" that puzzle piece, everything would fall into place. Koin sighed, closing his eyes once more. Rin was a weird Glaceon. Not weird, as in awkward to be around, but weird as in you'll enjoy her company. Finally dozing off, Koin figured that Rin was just too positive for her own good. It was oddly peculiar for Rin to sleep at such an early hour, and she did not like it. Scratching an ear with her hind-leg, she seemed thoroughly restless. "I'm going out to to some exercise before you all." she slipped through an opening and sniffed the air. The bloodied smell was sharp and rusty. The Glaceon growled as she prowled the outside, striking down a Murkrow that was gaining in on her with a perfect Ice Beam. She had not felt so protective ever since... Ever since Lucia died. Maybe it was the sense, the sense that there were living things there besides her, that gave her hope and authority. She could not let her hopes die, and her hopes were in those Pokemon that she met just then, they were her new friends. The Fresh Snow Pokemon now trusted them, accepted them as allies. They were the rare ones that are uninfected, and they are gathered as one, here, this day. Blaze took the suggestion of sleep to heart as she yawned. She couldn't even remember the last time she'd slept, the past few days all she had been doing was running through johto and trying to find Akira. She hadn't had time to sleep. 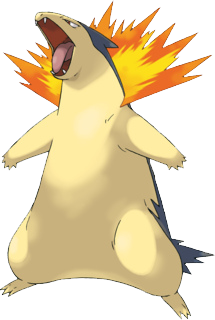 The typhlosion lied down, her flame dissapeared and it grew dark. Without her flame though Blaze began to shiver violently. She curled into a ball in an attempt to warm herself. She glanced at her new 'team', not exactly fond of the thought. She sighed which led to an icy cloud surronding her mouth. Fatigue taking over, Blaze closed her eyes and drifted off to the darkness of sleep despite the cold. Blaze's eyes opened to show her a familiar forest, the sun broke through a few of the branches and warmed the volcano pokemon. Blaze stood up and looked around, confusion evident in her eyes. "Master!" She called out in response. She saw her trainer's silouhette as she waved at Blaze to come over. Blaze began to run toward her speeding ahead and getting closer to her trainer. A flock of spearow lept out from the trees and surronded Blaze pecking and bitting her. She dispatched them with flamethrower. It took a second for Blaze to realize they where infected. She turned back toward her trainer only to see more and more of the undead come out and surronded them. Blaze woke up, her flame returned as soon as she did. Despite the fact that she was sweating she felt cold, her eyes where wide as she looked around. Blaze's usual demeanor wasn't there for those few moments, she seemed more like a scared child looking for her mom. But it took a second for that to dissapear and for Blaze to act like it was never there and shake it off. She wouldn't be going back to sleep though, not if that nightmare was what was waiting for her. As his new team settled in for some sleep, Chivalry took his post at the mouth of the cave. Rin, the Glaceon, stepped past him with mention of exercising before trotting out into the open; though the Gallade thought to stop her, he watched her shoot a Murkrow out of the sky with ease, and sat back against the rock with a defeated half-smile. 'Most of them can take care of themselves...good.' he thought to himself. "If you get tired, you can wake me up for the next shift," Chivalry heard behind him; he turned and smiled gratefully at the Jolteon. "That is kind of you, but for now, you get your rest." he spoke softly, trying his best to sound more awake than he felt. He turned and faced the dawn, his tired-but-determined eyes sparkling like the stone that Evolved him; with people to protect, he would be much stronger. He crossed his legs and settled in for his watch, his steeled gaze fixed on sky, forest, and training Glaceon. Delia was back in the mill, looking out to the world through the checkered bars of her cage. The night was thundering, storming. While the other pokemon cowered in their cages, she couldn't help but grin. Thunderstorms always delighted her; the lightning streaming across the sky was a beautiful, mesmerizing intricate dance. The sky roared furiously at the pitiful creatures below, and it occurred to her that she wanted that power. Her attention turned to the hand opening her cage and grabbing her roughly by the scruff. The humans around her joked that she belonged in this ring to give more experience to the lead dog, the bulky Granbull before her. He barked; a pitiful attempt At least, in comparison to the bellowing thunder that proceeded it, mocking the former. She grinned. She would not be taken down this night. She was not a throw-away body. She was not a runt. The granbull jeered at her, saying how she would have been better off becoming a breeder-- that maybe she'd pop out kits more powerful than she was. Her grin never faltered, for she knew that damn cur would die this night. The lightning struck, the thunder roared, and she knew it was her time to strike. Before the trainers said a command, she was already on the granbull, biting and clawing at his vulnerable neck. She wanted the pulsing vein beneath her teeth. She wanted to feel his heart stop, to hear his final futile breath. He cursed and swung at her, beating her haunches and back, but she could not feel pain: only delight. Sweet, sweet delight as he fell to the ground, his windpipe now torn out of his neck by her powerful jaws. She chewed and tasted what power tasted like... like Death. Delia opened her eyes slowly, a small smile on her face as she stretched a bit. What a wonderful memory to dream of in such a grim place... She shook herself and quickly found that the Gallade had moved. She padded to him, watching the sky illuminate with the dawn. "...You should probably get some rest. You can't keep your eyes open all the time, you know." As soon as Koin has closed his eyes, he was swept into a dream. He felt himself drifting off, with the thought of his new teammates, when the soft moonlight shined down on him. The Jolteon turned to his side, and knew the first image, the first person, he would see, would be Master. It was a dream the Lightning Pokemon had experienced many times, and he figured he would dream of it many more until he could finally get over his trauma of letting his friend die. An infected Grumpig stood in front of him, trying to hit him with a well-placed Brick Break. "Be careful, my little Eevee!" Master shouted fretfully as Koin used Yawn to lull the offending Pokemon to sleep. He sighed; the 'Eevee' could remember as he used Headbutt repeatedly in his adrenaline, not caring to use any other move. Maybe if he had used or taken care of this stupid Grumpig faster, he would have been able to protect Master and keep him alive. But it was too late. Koin used Headbutt on the Grumpig's head, causing it too fall off and black ooze to fall out. He heard the muffled yelp and a frightened scream come out of his Master, and turned to see the Scyther zombie stabbed his trainer again and again through the stomach, straight from the back. In his dream, the Eevee scrunched up his nose and attempted to close his eyes as he smelled the blood seep onto Master's clothing, creating an awful stench of death. Koin wanted, needed, to close his eyes, but alas, he couldn't. It was not what happened in the memory, so it could not happen in the dream. It seemed like a time skip for Koin, and he was suddenly next to his dying friend on the ground. "Remember these Technical Machines, Koin?" Master quietly murmured as he took out two discs. "I want you to use them on yourself. They'll... help you." Koin whimpered. It was always Master that used the Technical Machines, not him! The Eevee started to lick the blood off of his trainer, ignoring the horrible taste it left on his tongue. Master just need to cleanse himself of the injury, that's what he needed. Koin knew what would happen, but he didn't try to stop it. Never once did the Jolteon have a dream based on pure random; it was always based on memory, a twisted memory or bad decision that Koin could not changed. Master slowly dove his hand into his bag, pulling out a Thunderstone. "I want you to survive..." They both stared at the stone, one with uncertainty and fear, and one with sad calmness. "I love you, Koin, never forget." The Eevee felt his eyes water, pawing his beloved friend on the face, begging him to live. The answer was always a slight shake of the head, and Koin closed his eyes in despair. The Eevee would feel his paw being raised by a soft hand, then lowered to be on the two TMs. He gulped down a yowl, wanting to yell and hope it would bring Master back in good health. Koin felt the Thunderstone being placed atop his small Eevee head, and felt himself changing, taking the stone into his very being, and when he opened his eyes, Koin was a fully-evolved Jolteon, with his dead friend before him. The Jolteon sat down next to his deceased trainer, whimpering and pressing his head against the hand of Master, hoping for a sign a life. The answer was always death. After a slight exercise that involved beating up infected and practicing finding berries at vital moments. Rin decided to take a slight rest, she looked inside the cave, at the team sleeping peacefully. She loved how she used to watch her trainer sleep, the up and down heaving of her chest and the smile. She talked in her sleep, exclaiming once in a while of finding a legendary. Rin sighed. She had to do something to honour Lucia, all the others remember their owners so fondly, but she... She didn't care about her trainer now, what's gone is gone, but is that the right belief? Rin wrapped herself in a small blizzard, that way she can't be attacked while thinking thoughts. "Ah... Time to think of plans for when I retire..." she stretched, she longed for retirement, settling down with a nice litter... Leafeons have a nice look about them, Jolteons are fuzzy (She learnt from her dad, who was also a Jolteon). She sneaked a peek at Koin, her heart thumping slightly before looking outwards again. "Hmm... It's too early to consider about these things, but mother always wanted me to marry an Umbreon. She says they're like gentlemen." growing a bit dreamy at having such a nice boyfriend, Rin chewed a fragment of her 'hair'. Blaze looked around, all of the group was here. 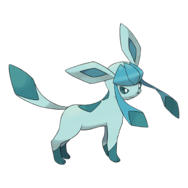 The glaceon had come back from her walk and was wrapped up in a tiny blizzard thinking to herself. Blaze nodded to her not all that sure if she noticed. The typhlosion then turned toward the gallade who was still keeping watch, she also saw the zorua was talking to him. "...You should probably get some rest. You can't keep your eyes open all the time, you know." the zorua said. "She's got a point yah know." Blaze said coming up behind the two. "You need some rest, we can keep an eye out for the infected. After you get some rest we can head out." She laid down the zorua inbetween her and the gallade. "By the way, since I don't think we formally introduced ourselves my name is Blaze." Before he could speak, the Typhlosion approached from the blackness of the cave, the flames from her shoulders casting orange light onto the rocky walls. "You need some rest; we can keep an eye out for the Infected. After you get some rest we can head out." The Gallade saw good intentions behind her steely eyes. He stretched out his long legs and slumped down on the rock face, trying to get comfortable; he crossed his arms over his stomach and shut his eyes, grateful for the opportunity to sleep in safety. "By the way, since I don't think we formally introduced ourselves my name is Blaze." he heard the Typhlosion say -- the name was quite fitting for her. Thinking it proper to answer before falling asleep, he lazily opened one eye and said, "I'm called Chivalry." "...I'm called Chivalry," the gallade mumbled as he quickly drifted off to sleep. Delia quirked a brow. The name suited him very well... So much so, in fact, when he said his name, she grinned and chuckled a little. "Did you give yourself this name?" Though, the question was more rhetorical than anything; he was falling asleep, after all. Delia looked out of the mouth of the cave, her gaze vague as she reminisced over her dream and memories. How she longed to rip into that granbull again, to taste the coppery taste of vengeance and victory. She looked over her shoulder to the mountain of muscle. "Come to keep an eye on me? I assure you, there's no need." Koin twitched his ears in his dream. Who had spoken? The Jolteon's dream had morphed into another moment in time, a time when it was peaceful and training was for the fun of it. Master and Koin were training in Mt. Moon at night, hoping to catch a glimpse of the rare Clefairy hiding. The Jolteon, an Eevee in his dream, soon forgot of the voice that interrupted such a peaceful bliss. "Yawn! Then use Headbutt!" Commanded Master with ease, knowing their strategy full well. Koin followed the moves up on the Geodude, watching as it was lulled to sleep and soon had fallen to the ground. Another sort of time skip within the dream, and Koin felt himself watching the full moon with Master and their new teammate, Powrawr. The night was so calm and endearing, the Eevee wished it could be like that moment forever. Koin glanced at the Geodude, remembering how Powrawr had evolved time and time again into a Golem. Where was his mighty friend now? Koin sighed. Whose voice was that earlier in this dream? The Jolteon pondered, flicking his ears up. Was it... the Gallade? Koin felt his dream start to get fuzzy as his mind strayed to the outside world. Yes, it probably was. Koin now remembered the previous night, and how they all settled down for the night. Was it right of them to join forces? While the Jolteon admitted that sleeping in peace (for the most part), was a wonderful feeling, incoming zombies would attack a larger group. The secure feeling of his new found teammates suddenly morphed into an insecure feeling, as it was with his dream. Arceus, let's hope I made the right decision. "...I'm called Chivalry," he managed to say before drifting off into sleep. It was a fitting name for the blade pokemon. Blaze wondered if his parents had given him that name or if maybe that boy he had spoken of had given it to him or maybe he had given it to himself. Apparently the zoura thought so to "Did you give yourself this name?" the zoura chuckled a bit. Blaze huffed a small wiff of smoke in amusment. The little black fox then turned her gaze towards her. "Come to keep an eye on me? I assure you, there's no need." She stood and shook herself. "I have always dreamed of evolving. Though being short has its many advantages, I can obtain that through my abilities. Being powerful enough, though, comes with evolution..." She turned back to the meat monster, her teal eyes twinkling with some unidentifiable emotion. "...as you probably know." As the last of his dream vanished, Koin slowly blinked open his eyes. In front of him sat Chivalry, the Zorua, and Blaze. He yawned, stretching out his back, before standing up and looking around. Just outside of the cave, Rin was training. I wonder how much time had passed... Although it didn't matter anymore- Koin was invigorated and powered up, raring to go. His weariness of his new found teammates had worn off. It was probably the effects of the nightmare rubbing off on him. Teammates is a word you treasure and never squander, Koin knew that for sure. Continuing to stretch out his limbs, he silently listened to the world around him. It seemed as though the two other Pokemon awake at the moment were conversing, so he let them be. The warm heat radiating off of the mountain's walls, the drops of water splashing in the distance, and the eerie silence just outside of their little cove, gave a sense to the Jolteon that he made the right choice deciding to travel with the others. How could I be so foolish as to doubt them? Delia... not what Blaze expected but it was oddly fitting for the little meat fanatic Zorua. It was nice to hear that she'd be able to train someone while searching for her Master. Maybe if she moved around a bit more she'd get warmed up. "Delia, I want your word," Blaze's voice lowered. "That when you evolve you wont turn against any of us." She lowered her head to match the height of the little fox pokemon. Blaze wasn't sure what good having Delia's word would be, but it would reassure the typhlosion some. "I'd hate to crush someone I trained." An icy cloud was formed from her breath. "Delia, I want your word that when you evolve you won't turn against any of us." The muscle beast slowly bent down to come eye-to-eye with Delia. "I'd hate to crush someone I trained." Delia quirked a brow at the not-too-subtle threat and stared into the fire beast's eyes. She didn't allow any sort of fear into her own expression; fear meant she would be hiding something, fear meant weakness. Fear meant submission. She was sure to keep not only her face straight, but the rest of her body as well. She flicked an ear back at a sound near them -probably someone stirring from sleep- and sighed. She needed to word this carefully. Though she admitted attacking one of the pack would be an intensely bad idea, she still wanted options... just in case... "...When I evolve, I'll be able to go and catch my own prey. Besides, with you and Chivalry, you needn't worry about me. As soon as I saw that we would become a pack, I gave up trying to eat the yellow thing. And like you said, the spines area little off-putting too..." She chuckled and grinned as she looked back at him. "He's just fun to mess with." She turned back to Blaze. "So. Is that good enough or do I need to do a scout's honor thing?" With her smirk still in place, she raised her right paw. "... Delia, I want your word..."
Out of the few words and phrases Koin could catch from the voices across from his, this certain sentence took a special interest with him. The Jolteon carefully licked his yellow fur as he sat down once more, hoping to settle down and fix his ruffled pelt. The voice certainly sounded like Blaze... and the only other Pokemon awake was the Zorua... so does that mean the cannibal of a Pokemon is named Delia? Koin stopped mid-lick in shock. Such a normal name, with a hint of innocence too, could be for a Pokemon that wished to have eaten him? The Lightning Pokemon gulped- he still couldn't get the image of the Zorua digging her fangs into his neck- and the thought of it made him shiver. He flattened his ears against his head as he forced himself to continue grooming. He certainly did not want to hear the rest of the talk.